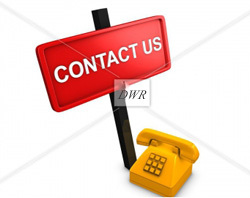 Angular contact ball bearings are designed for combination radial and axial loading. 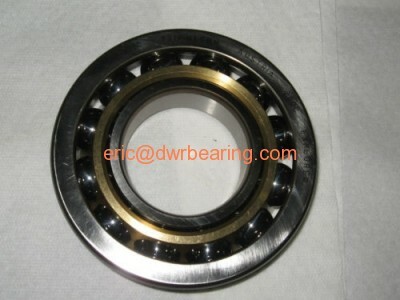 Single-row bearings have high thrust capacity in one direction. 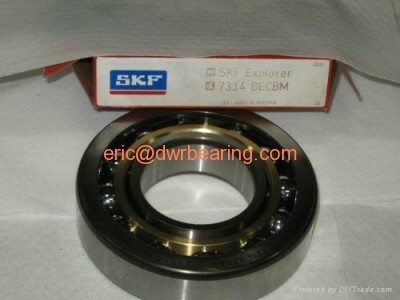 Some single-row bearings are specifically designed for duplex mounting in sets for maximum performance. Double-row Conrad bearings can accommodate thrust in both directions. Size Range: Single-row: 10 mm - 150 mm (0.3937 in. - 5.9055 in.) bore Double-row: 12 mm - 150 mm (0.4724 in. - 5.9055 in.) bore Design Attributes ? Specific geometry of angular contact bearing raceways and shoulders creates ball contact angles that support higher axial loads. ? Expanded options include special lubricants, cage materials, preloads and coatings for additional corrosion resistance.